The benefits of the humble avocado are wide ranging. From boasting cancer fighting carotenoids (organic pigments) to brimming with heart-healthy monounsaturated fatty acids – the avocado really is a diet staple. And new research has further proved this, with scientists from the Hass Avocado Board in California discovering the green fruit can aid weight loss. “This study supports the body of research showing the many benefits that fresh avocados have to offer when consumed in everyday healthy eating plans,” Emiliano Escobedo, the board’s executive director, said. Emiliano’s work, published in Journal of Clinical Lipidology, concluded that swapping solid fats for avocados can “significantly change lipid profiles”. His team got their results by analysing 10 unique avocados studies featuring 229 participants. They looked at the impact avocado had on cholesterol levels, finding that one to one-and-half avocadoes per day “significantly reduced total cholesterol”. 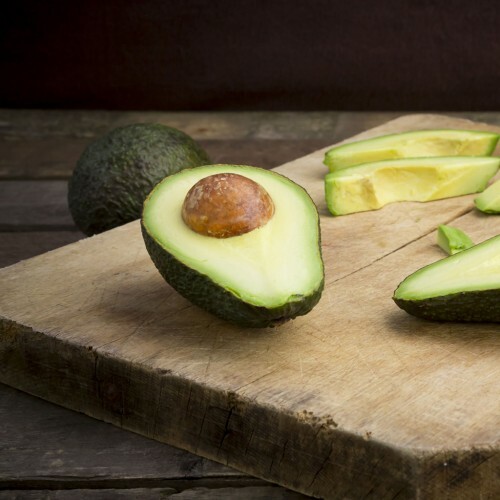 “Fresh avocado, as part of a balanced diet, and as a cholesterol-free substitute for solid fats, can help be part of the solution for maintaining normal cholesterol levels,” Dr Nikki Ford, director of nutrition for Hass Avocado Board, noted. As well as adding avocado to your diet, try making easy kitchen swaps to up your daily fruit and vegetable intake. One of the simplest ways to sneak in some more goodness is to switch spaghetti for spiralised vegetables. Adding meaty sauces with courgetti spaghetti (spiralised courgettes), for example, will also see you reduce your carbohydrate intake. Spiralisers were 2015’s must have kitchen gadget, and their popularity shows no sign of slowing down. JML’s newest launch is the Veggetti 2.0, which quickly and easily turns a range of vegetables into neat spiral ribbons. There are two settings, so you can make your carrots, courgettes or cucumber thick or thin, depending on whether you choose to add them to salads or hot dishes. For those with a sweet tooth who can’t help but reach for a treat after meal times, try incorporating fruit into your snacks. Yes we all know reaching for an apple over a bar of chocolate is the smart decision, but realistically that’s not going to satisfy your sugar craving. Instead cut up said apple and dip into peanut butter (natural is, of course, the better choice here). Goodness, but with that added naughty edge.